Did you know that 65 percent of denied claims are never reworked? Costly denials can easily be resubmitted with the right tools that help prioritize opportunities and automatically generate appeals. How can practitioners improve their customer service? Studies have shown that customers crave transparency when it comes to their medical bills. Open communication about not only treatment options, but also costs, can greatly improve patient satisfaction. Mark your calendars for our next FREE webinar! Copyright © 2019 TriZetto Corporation. All rights reserved. 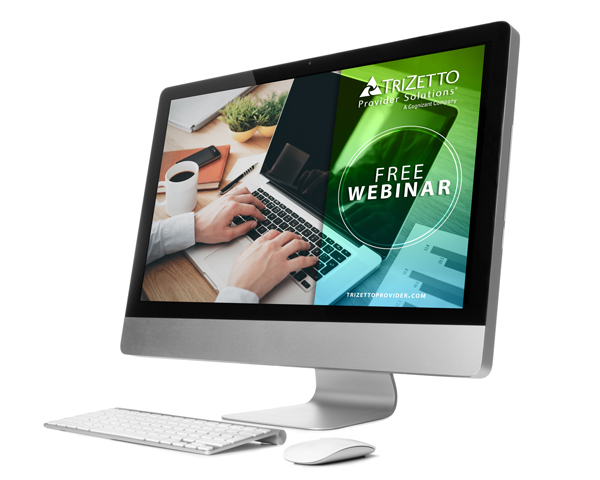 TriZetto and the TriZetto Triangle logo are registered trademarks and TriZetto Provider Solutions is a trademark of TriZetto Corporation or its subsidiaries. Other company and product names may be trademarks of the respective companies with which they are associated. The mention of such companies and product names is with due recognition and without intent to misappropriate such names or marks.